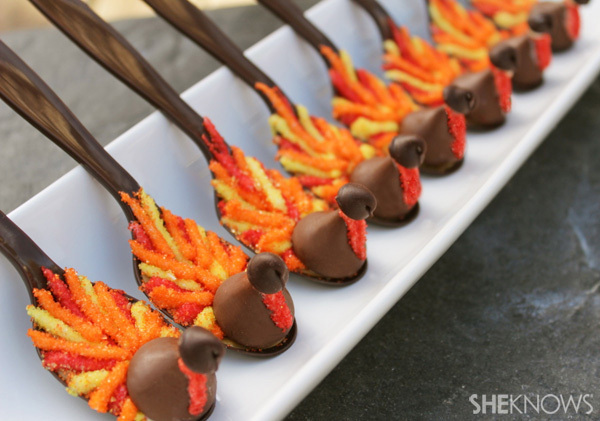 Waking up on chilly fall mornings can be a little slow-going, but it always helps to know a warm caffeinated beverage is just a couple of minutes away — especially when you have an adorable chocolate turkey spoon waiting to add a sweet kick to your coffee. 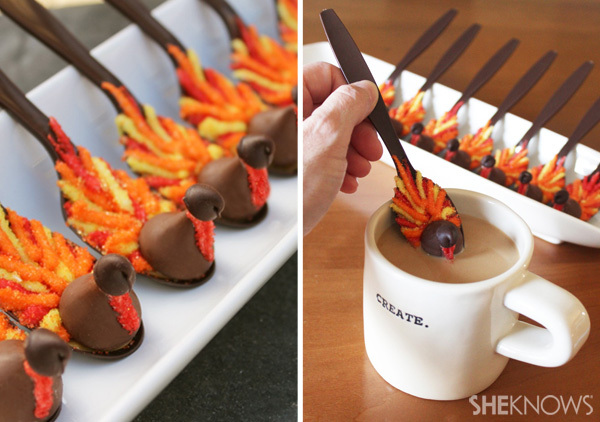 Thanksgiving-themed gobble latte coffee spoons — made from caramel, chocolate and colored sanding sugars — are a fun and easy project that make for a perfect hostess gift for any coffee- and chocolate-lover. And these elegant melting spoons aren’t just for morning. 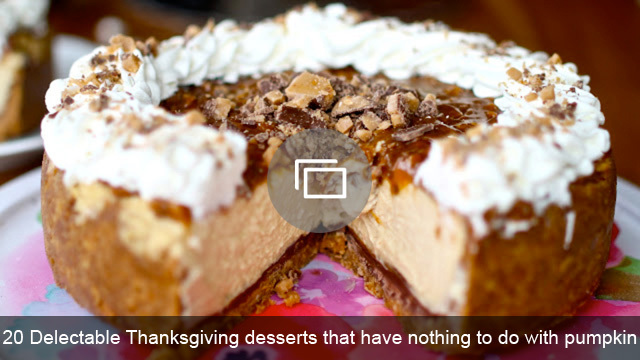 They’re a delight to serve with your after-dinner coffee or hot cocoa, too. They’re fun for kids, but beautiful and festive enough for adults. 1. Soften caramels, 10 seconds each, in a microwave. 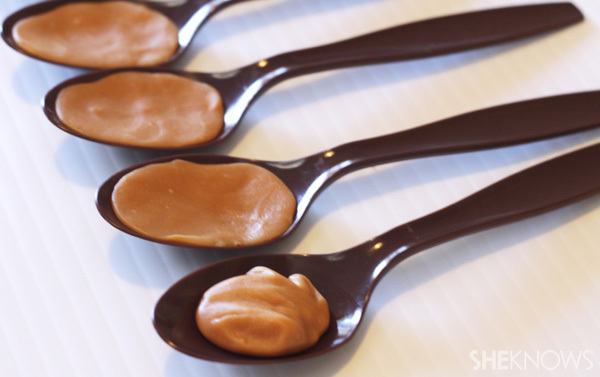 Divide each caramel in half and spread into spoon heads. 2. Melt three to four ounces of white chocolate in a microwave-safe dish. Pour into a small plastic squeeze bottle or plastic zip-close bag (cutting off the very tip.) Pipe a line of white chocolate down the front of the Hershey’s Kiss to form the turkey waddle. 3. Dip in red sanding sugar. Repeat this step with all remaining Hershey’s Kisses. 4. 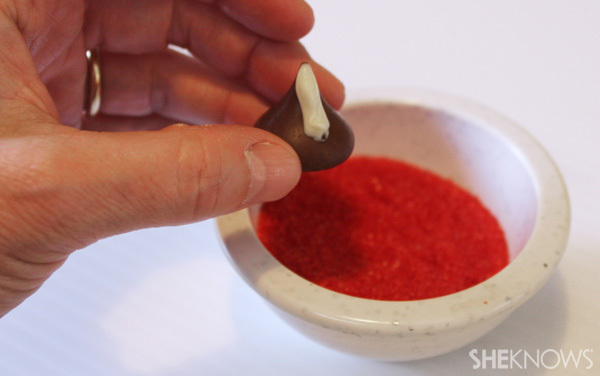 Squeeze small dollops of white chocolate on the very tip of each Hershey’s Kiss and attach the chocolate chips to form the heads. 5. Pipe radiating lines of white chocolate onto the caramel spoon heads. 6. Dip the spoon into the red sanding sugar, tapping off the excess. Pipe more lines of white chocolate next to the red lines. 7. 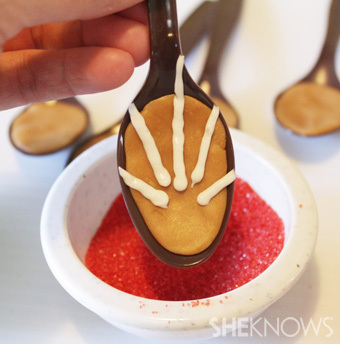 Dip the spoon in yellow sanding sugar. 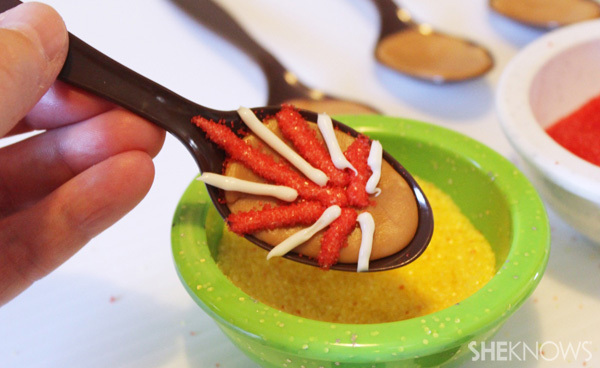 Fill in between the red and yellow lines with more lines of white chocolate, then dip the spoon in orange sanding sugar. Tapping off the excess sugar each time. 8. 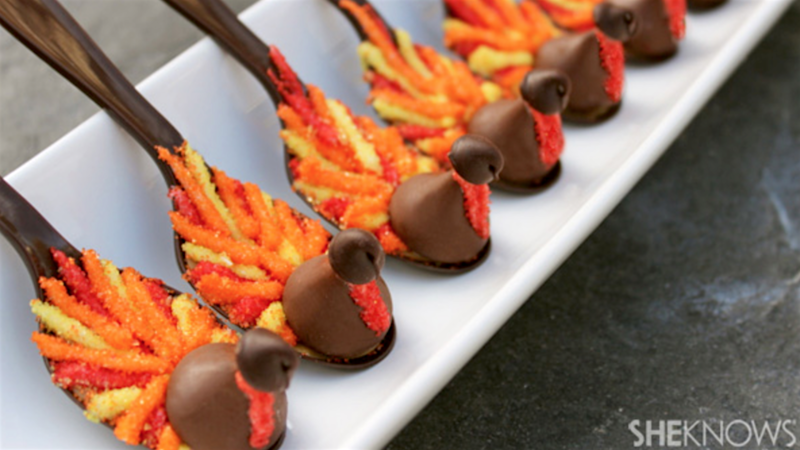 Add a small dollop of white chocolate in front and attach the finished chocolate turkey bodies to each spoon. And your gobble latte coffee spoon is complete.